Except that little girl...she doesn't look like she wants to be there. coldsmokeAT wrote: Except that little girl...she doesn't look like she wants to be there. 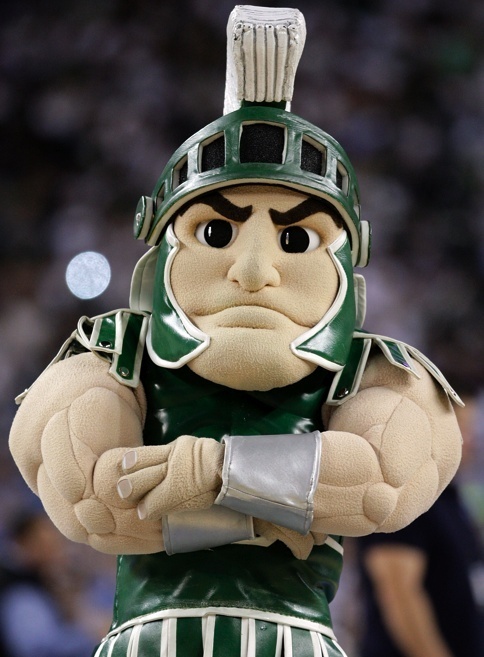 Another random question... How is a team called the "Spartans" and have their color anything but red? It's always baffled me. Chances are, all looked great in the artists rendering when they approved it. When the big head and suit arrived, along with the bill, he most likely looked different. It would be interesting to see how the big head matches up to the artists renderings. Also, I love a good video as much as anybody. It would be great to have Pilot Productions put at least 5 minutes of thought into creating better (more creative) videos. Watching Wally go around and give high fives to the girls volleyball camp is no way to introduce the new mascot. They should have the guy that did the Wally Video https://www.youtube.com/watch?v=Ihvsbr9G68Y take over as creative consultant. I first saw him on Channel 8's morning news, hanging out in the window at Pioneer Square. I saw this thing with a Pilot shirt on and thought, "WTH is that?" Not the initial reaction they were looking for, I bet. yeah, that's a bit sad. Then he went trough some down times and even trans-gender issues before he became irrelevant on the Bluff to the point where he was PNG. Let's hope his weigh training and counselling has resulted in a new Wally we can all get behind. 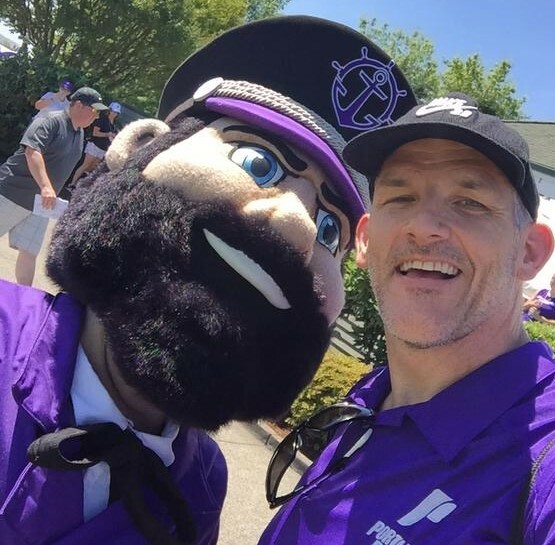 I was somewhat surprised by all the blase to negative comments about Wally.Even though it might have been more appropriate to involve the Students,Alumni, Fans and Community in his appearence its probably time to get behind his reappearence. Or maybe not? Like PP13 mentioned at least there is a Mascot again, even though I think some of us would agree that his appearence is not of greatest quality . I was reading the LMU board the other day and they were posting about the appearance of the "Wally" and it was...... But, that's what schools do anyway, make fun of other schools mascots. I'm with PP13 all the way. It's great to finally have a mascot again. And even if you aren't 100% crazy about him, at least it's nothing to be embarassed about (like the Wavemen or the Inflat-a-Gael). What will be key is the talent of the person inside the costume. As Geezer pointed out, the old Wally was awesome when it was the tall, lanky guy... he rode trays down the aisles, messed around with the refs, was funny, was good with kids and the crowd, actually led cheers... he was great. When, as Geezer also astutely pointed out, Wally was going through his gender issues, it was baaaaad. Overall though, I'm really happy to have a mascot again, and as long as the person wearing the suit is good I'm sure we will all be happy with good old Wally. I'd have to agree that any Wally is far superior to no mascot at all. You can nitpick and whatnot, but it's all about the man behind the mirr... er i mean mask to really make the mascot any good. Personally I think altering the wardrobe a bit up at times wouldn't be bad either, maybe have a throwback rain slicker at times or an athletic jersey every now and again. Wally may not be perfect, but this is UP athletics, not Victoria's Secret, aesthetic perfection isn't really necessary. It's all about fun and levity, and I think this costume provides that capacity. Someone get Fay Beeler to look into this...! MesaPilot1 wrote: Even though it might have been more appropriate to involve the Students,Alumni, Fans and Community in his appearence its probably time to get behind his reappearence. Or maybe not? As I understand it Neo Wally was a gift from last years Sr. class, I know that they tried to get student and community feedback. In fact I was invited to be part of the planning panel, btu was unable to participate. Good idea Datru; about the costume change-ups. A rain slicker jacket and some serious rubber boots (BLACK ONES not Yellow!) are what Portland is all about. Sure the original mascot did not encapsulate the latest foam technologies, but it was pleasantly weird; just like Portland! I would be delighted if someone would post a picture of the original Wally. I agree, the person inside the suit is critical to success! Whomever takes on that roll should watch this training video. It has some very important tips. It's either shorts, a pile sweater and sandals with socks, or it's leather and Doc Martins. And don't spit or throw butts on the sidewalks, or the cops will haul you away. Mesa could be convinced to fly up to some more games this year just to watch a entertaining Wally, especially a tray rider . I just hope Wally can help with the cheers , conduct himself in a semi'dignified manner. But, a few mistakes the first year will probably happen. I like the idea of some little put- put with a pilot theme. I just hope Wally isn't a bump on a log, or someone who is trying to hard and is a distraction. Man, I am getting old, I would just like to see a happy medium. Maybe in future years Wally can swing onto the court on a rope from the 2nd level like a PIRATE before starting lineups (could you imagine the liability there? )just not the first year,lol. If Wally really wanted some pointers he could watch film of the Phoenix Suns Gorilla or some other pro mascot and pick up some idea's on how to get a crowd going without being a distraction from the ball game. PS- This year I think the band ought to play the theme song for "Welcome Back Kotter" except substitutite "Welcome Back Wally" when he comes out on the floor to get the crowd going.Geezer can explain that song to some of you younger folk's. Just read your comment about the origin's of the "New Wally". WHAT A GREAT GIFT AND THANK YOU TO LAST YEARS SENIOR CLASS. NOW THE STUDENTS, ALUMNI, FANS AND COMMUNITY NEED TO GET BEHIND THE NEW WALLY AND LET HIM CHEER AND ENTERTAIN THE CROWD AND KIDS(young and old)!!!! primeimage001 wrote: Now hes back! Did something go right over my head? you aren't missing SPAM in your internet diet. Geezaldinho wrote: you aren't missing SPAM in your internet diet. That is good to know; I was worried that I wasn't getting enough meat substitutes in my e-diet. Shall I indulge in my master powers of post deletion? Exactly six years to the day, he's baaaaaaaack, again!! !